Ada Tse is an active agent specialized in selling condos, apartments and townhouses. She has been in the business for over ten years. She has the expertise in marketing and selling real estate and local knowledge of apartment buildings and townhouse communities. Ada has been working with many clients of different cultural and ethnic backgrounds. She always starts by listening to their needs and interests and assists to achieve their goals of home buying or selling in a timely manner. 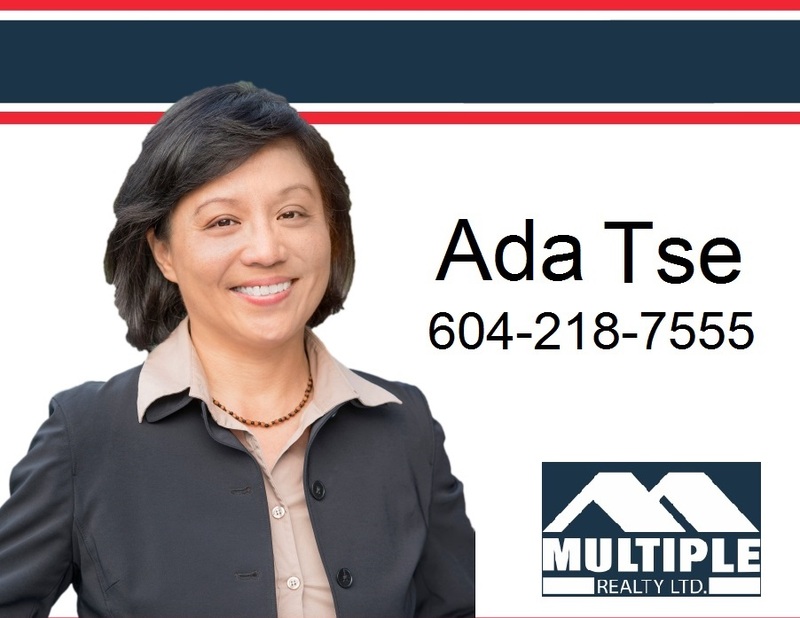 You can contact Ada by calling 604-218-7555 or schedule an appointment to meet her in Multiple Realty at #110-9780 Cambie Road Richmond BC to discuss your home buying or selling plan.